Thread: WW1_Sub_Pens released by Robert John! Description: This package contains seven World War One German submarine pens which were located in Bruges Harbour, Belgium. They consist of single, multi bay, straight and staggered versions. The models were built in collaboration with Michael Lang (Ravenna). The GMAX models are muti_res. Champing at the bit to upload the scenery! Many thanks for all of your hard work on this! Nice work RJ. Thank you. With all the scenery and aircraft development being done on WWI it's probably time for someone to create a campaign to utilize it all . Oh, hi Ravenna. Did I say that out loud? No one is kicking me harder than myself. The scenery is ready and there are just a few docs to be tweaked. Actually, utilizing it all would be quite an undertaking! I must say Robert's screen shots look familiar . There are a few missions in the bag but I've been distracted by a set of repaints for RNAS Caudron IVs to populate the next series of missions against Zeebrugge docks and Nieuwmunster airfield. I was going to include a set of missions with the scenery but maybe that would be better being uploaded separately. From the other side of the barbed wire there is the need for missions based on Kevin Driver's great looking bomber fields (Gontrode, St Denijs-Westrem and Nieuwmunster). I've flown one mission to bomb Ramsgate and it was a loooong trip in a Gotha IV, even if you could hit pause for a cup of tea or coffee. Doing that run in open cockpits in poor weather must have taken some dedication. I've flown one mission to bomb Ramsgate and it was a loooong trip in a Gotha IV, even if you could hit pause for a cup of tea or coffee. Try flying from Benghazi to Weiner Neustadt and back. The Italians flew open-cockpit biplane and monoplane fighters over the Channel in the Autumn and early Winter of 1940-1941. They didn't enjoy it either. Just saw your post. 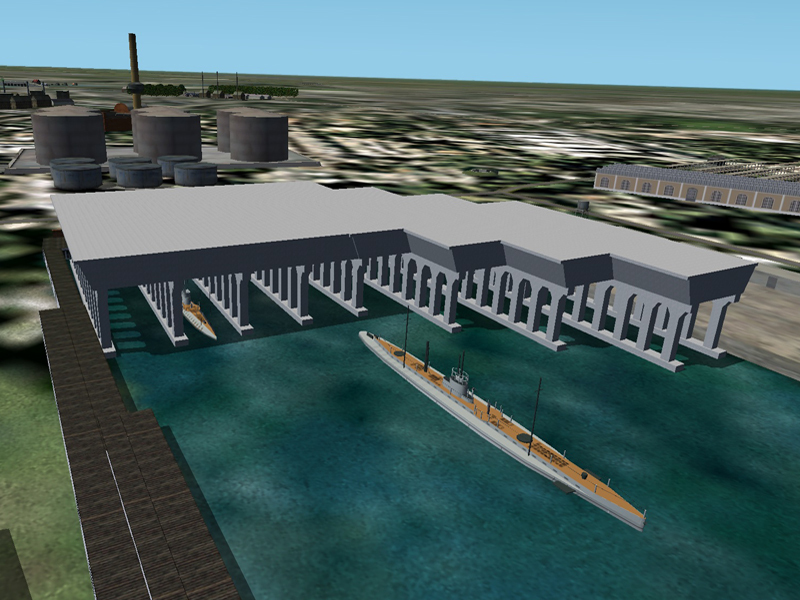 There is a LAY file for Zeebrugge based on infrastructure in 1940. If you want it I can send it to you. I assume you already have Kevin's flattens and redrawn coastline which made all this building possible.